What I discovered during those hard, gritty months was that becoming a missionary was about initiating a never-ending journey of self-discovery. Africa conquered my heart from the time I was 14, poring over the pages of World Vision magazine. I dreamed that I would be sent there one day to help people. It didn’t really matter where I went or what I did, I just wanted to offer people hope. When I was 20, I had the opportunity to fulfill that longing by becoming a volunteer teacher in Malawi, a small country tucked between Zambia, Tanzania, and Mozambique. To be honest, I went to Malawi with the expectations of a naïve girl, thinking that becoming a missionary would be the fulfillment of God’s calling for me. What I discovered during those hard, gritty months was that becoming a missionary was about initiating a never-ending journey of self-discovery. From the time I arrived in Malawi, I felt viewed as a monetary resource. My new friends asked me to buy them tickets to fly to the United States, or to finance their medical degrees, or to pay for a myriad of other things that were equally impossible for me. I had come to minister to people, yet I felt stymied by a stereotype that I had no idea how to break through. Over time, my heart grew cold, and I left Malawi bitterly disappointed. I hadn’t been able to bring hope at all. When I returned to the United States, I entered the film program at Southern Adventist University in Tennessee. Film is a great medium for motivating action, and I wanted to be able to put a spotlight on the needs of Third World countries. Since graduating, I’ve been blessed to have a job filming mission projects around the world. I’ve had many positive experiences, and I’ve felt God speaking to me through my lens, healing me and impressing me to go make peace with my past. When my company received a call to film mission work in Malawi, I wasn’t all that surprised. As I drove through the Malawi countryside, it felt both beautiful and strange to be back. There is something about Africa that makes me feel vulnerable. It has a way of exposing my priorities, my attitude, and my weaknesses. It was during our final days of filming when an incident occurred that led to the full revolution of change within me. While we were filming at a church site, we met a woman who told us that she was sick and didn’t have money to see a doctor. When she asked us for cash, I felt the old pain and annoyance of being used by a stranger. It’s hard to admit that I could feel so cold toward someone in need. Later, as I filmed inside the church, I saw that a member of the mission team had brought the woman into the church privately. What I observed stopped me in my tracks. He was handing her a US$50.00 bill. That’s about 25,000 Malawi kwacha, a fortune! The woman was amazed, and so was I. Though he didn’t realize it, the man was giving her much more than an opportunity for medical care. He was providing her with food for months, blankets for winter, and clothing for her family. But it wasn’t even so much the money that mattered, but rather that the gesture was made out of love. Tears pricked my eyes. It seemed like God Himself was helping this woman—seeing her pain, ministering to her needs, answering her prayers. I felt the old me revive—the one who had a warm heart of flesh and not a cold one of stone. I realized that my experience in Malawi hadn’t been tainted by the way people saw me, but rather by the way I saw myself. In that moment, I knew that I had a choice to make. I could go on guarding my heart against the hurt in this world and my helplessness to take care of it all, or I could open my heart fully to wherever God calls me and understand that although I may not have the power to change everyone’s lives, He can. I was overwhelmed with God’s peace. I knew that He had brought me back to Malawi to experience and feel these things. I needed to be brought full circle to be reminded of what it means to be a missionary. That it’s not our job to judge people. It’s our job, as Christians, to give to others out of love, always, and with great joy. I can now look back on my time in Malawi with genuine happiness, knowing that God was with me all along. And, ultimately, the hope I wanted to give to Africa was poured doubly upon me. 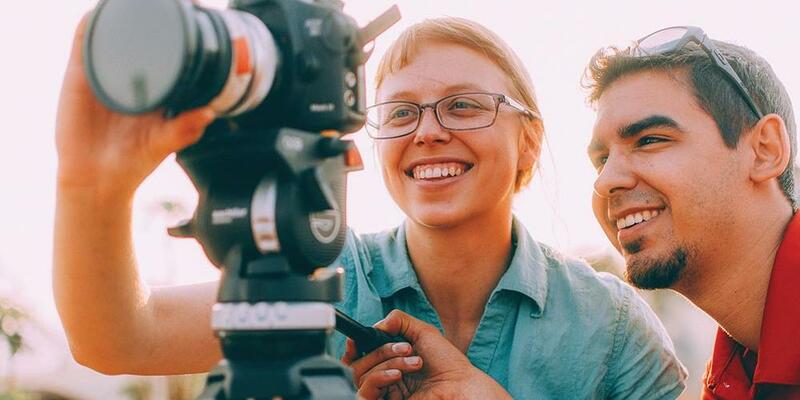 Samantha Wahlen works as a freelance filmmaker in Chattanooga, Tennessee, along with her husband, Daniel. When she’s not on location, Samantha spends her time cooking, painting, reading, and cuddling the family kitten, Diana.